Today is the largest environmental event in the world - Earth day! In fact, it is the perfect day to get involved in activities that can help make the planet cleaner, healthier and more sustainable. Even if one starts being eco-friendly at home by buying organic products, using energy-star appliances and recycling, it is a different story with furniture. 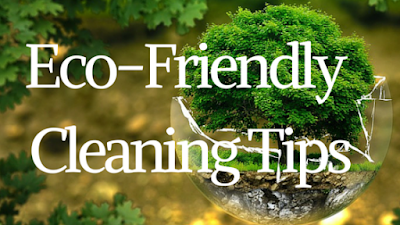 In order to remain with today’s green spirit and lending our planet a helping hand, here are some tips on how to be eco-friendly while cleaning your furniture and upholstery. Clean only with dry cleaning solvent. Do not saturate. Do not use water. Water only. Do not over wet. Do not use solvents to spot clean. Spot clean. Do not saturate with liquid. Vacuum your furniture till it is dust free. 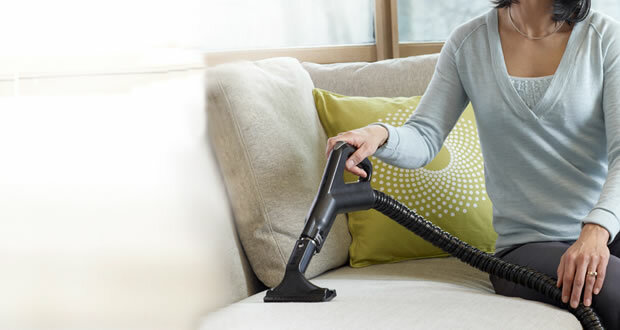 If you vacuum your furniture frequently you will maintain it clean and well kept. Spot clean with cleaning products and water on the stains you wish to remove if the code is a “W, SW, WS “. You can also use a brush to take off the stains as well. This accessory works well while using powder on a stain. 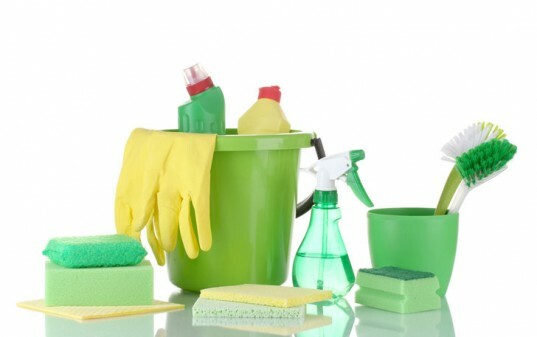 Use cleaning products from manufacturers or you can make your own! If you need to clean pillows, check whether they have removable covers, as it will be easier to wash them separately. Dry your furniture by applying a cloth on it, if you washed it with water and foam. Vacuum it again to remove any dry powder residue. Then, you can start using your furniture again! - mix water and vinegar to help you get rid of food stains and/or pet little disaster! 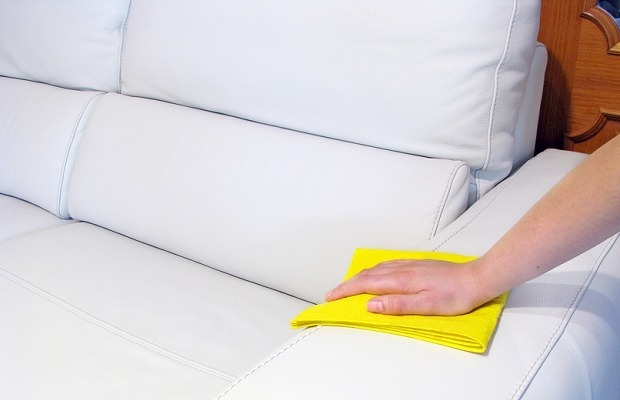 Make your own dry cleaning powder with baking soda and corn starch to remove grease stains on leather and vinyl. After sprinkling the solution on the stains, let it sit for 4 hours. Finally wipe it with a clean cloth. Everybody can contribute to the environment and make the planet a cleaner and healthier place. 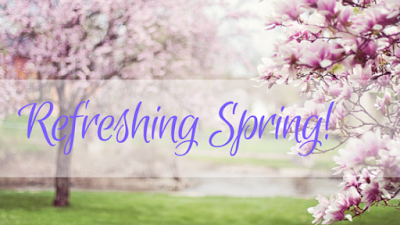 Not afraid of the big change? Our À la carte option on our website is the cherry on top! 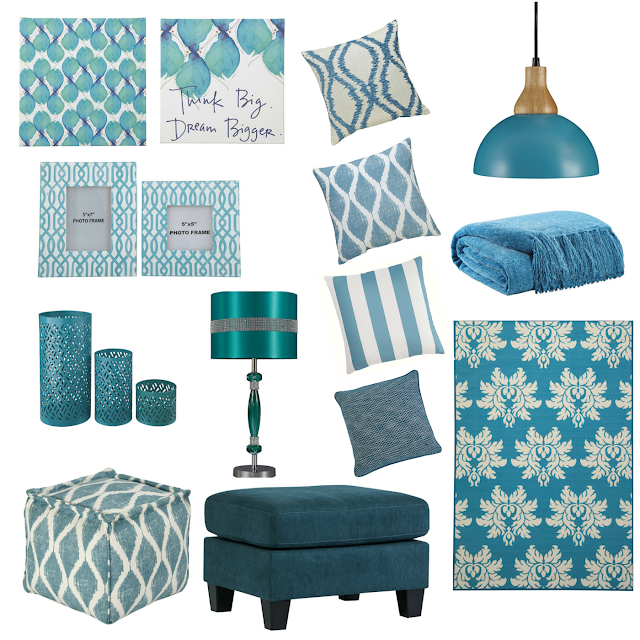 It suggests a great selection of teal home accents and will give you practical hints to accessorize your home. Are you looking for occasional tables, but can’t seem to come up with a vision? If you intend to mix pieces rather than getting matching ones, then you might benefit from a few suggestions! 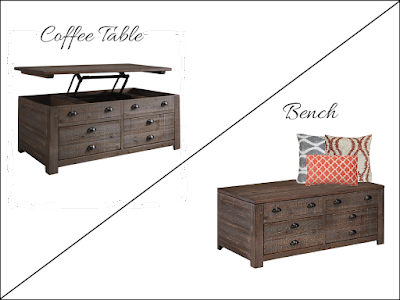 The Keeblen coffee table has apothecary-inspired details and a distressed finish. The lift-top also gives the table an eclectic feel and spacious drawers for all of your storage needs. While this piece is designed to be placed in front of your living room seating, it can also be used in the entrance of your home or a mudroom. All you need to do is throw a cushion on top of it, and presto! You have a new storage bench for either room. 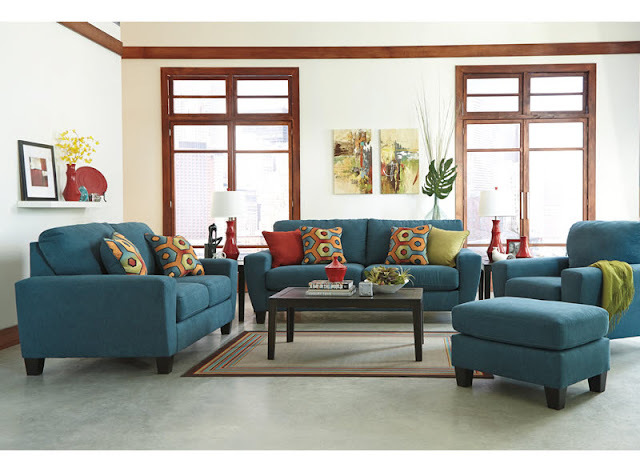 Then, for added visual interest, place some beautiful accent pillows as your final touch! If you’re a fan of an eclectic style, then you’re in luck. The Keeblen’s style blends well with a number of different looks. Of course, you can always go the simple route and choose the matching end table. However, should you choose another end table, the Marimon is a match made in heaven. 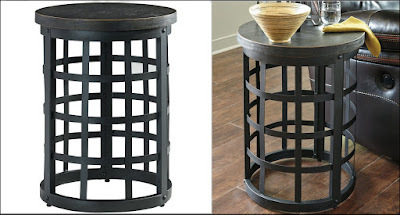 The beautiful woven industrial basket metal is topped with a black distressed wood. Its vintage rub-through black blends perfectly with the Keeblen’s grey undertones and black hardware. In addition, the top of the end table has just enough room for a nice lamp or to rest your mug beside a decorative vase. Lastly, to complete the look in your living room, the Vennilux console table happens to be the last piece of the puzzle. 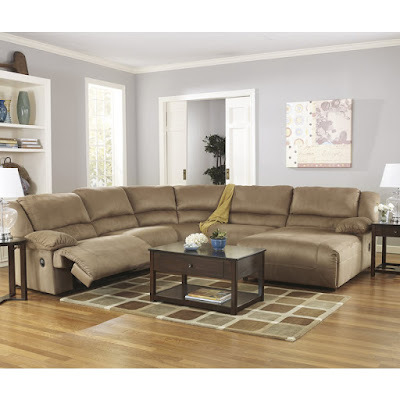 Although the shape differs significantly from the others, its similar gray tones bring out the same casual style. 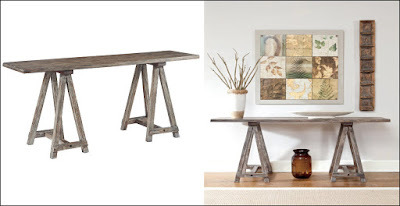 This table is versatile in the sense that it can be placed against a wall, or even behind a sofa. Either way looks great! Again, if you prefer matching products, you can check out the associated products from this collection. 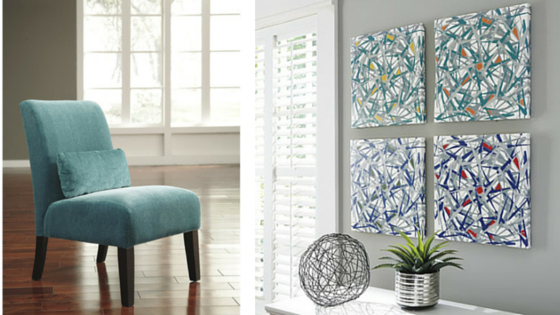 Home décor is like an art. Have fun playing with different pieces!